Ellenbogen offers complete Webcasting solutions to help your organization communicate your message in crisp, clear sound and visuals: Engaging a wider audience, creating a powerful user experience, building a brand, and saving money. We have been working with local, national and global organizations of all sizes building their digital communication strategies. Whether it’s a simple one camera web cast or a more complex eight camera, full graphics package live webcast, we can do it. In today’s internet and mobile world, Webcasting has become an essential component of virtually every event or meeting. Our Webcasting services can be used for a whole host of purposes like: Education programs, television programs, talk shows, corporate communications, government meetings, live concerts, live events, and family gatherings. Depending on your needs, we can webcast in a secure encrypted web domain, a pay-per-view site for you to monetize, or simply to a general audience of thousands via LiveStream. We custom create the right internet delivery platform for you. Our Webcasting also works on all mobile, smart phone, mac or windows operating systems so you can be assured that your viewers can see it wherever there are and how they choose. 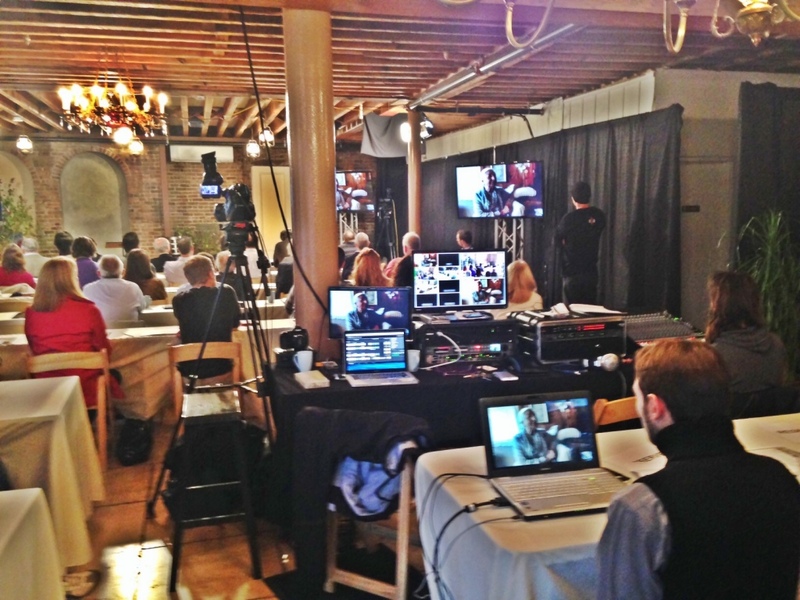 Why do organizations choose Ellenbogen Creative Media for webcasting events? We are the region’s largest and most respected digital media solutions company with years of experience in video production and webcasting. We immerse ourselves in technology and specialize in live multi-camera events, and on-demand Webcasting. We use the highest quality H.264 HD encoding for the best image and sound quality, along with the least bandwidth consumption. We constantly upgrade to the latest gear including HD cameras, Blackmagic Design live switching and encoding equipment, wireless mic technology, and computer systems. Unlike many Webcasting providers, we don’t use robotic controlled cameras- there is no substitute for experienced live camera operators to cover your event. When you want the best in quality and reliability, Ellenbogen is your clear choice.